Dr. Morris Bullock at Pacific Northwest National Laboratory is quoted in the December 16 issue of Chemical & Engineering News. In the article, "Catalysts that are less precious," Deputy Assistant Managing Editor Stu Borman covers three new catalytic studies about using iron and other earth-abundant metals. These metals could replace palladium and other precious metals, which present cost and toxicity issues. Bullock is quoted at the conclusion of the article regarding the diverse approaches: "there is no exclusive single 'recipe' for success in developing catalysts based on cheap metals -- an observation that is encouraging to chemists seeking to design and develop catalysts based on abundant, inexpensive metals." 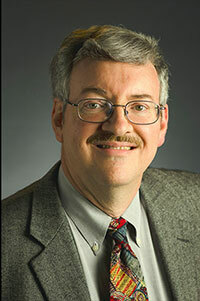 Bullock leads the Center for Molecular Electrocatalysis, an Energy Frontier Research Center funded by the U.S. Department of Energy, Office of Science, Basic Energy Sciences. He is a Fellow of the Royal Society of Chemistry and American Chemical Society. His work in developing transition metal electrocatalysts has earned him the Royal Society of Chemistry's Homogeneous Catalysis Award in 2013.